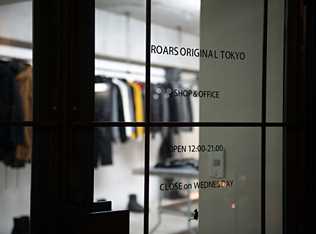 ROARS ORIGINAL is a brand based in Tokyo, Japan, combining its passion for motorcycles, fashion and art to create a style unrivaled. ROARS ORIGINAL is looking back on a history of 14 successful years. 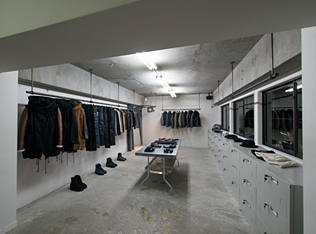 Fashion store ROARS opens in the city of Sendai. Street sales are held additionally. Motorcycle custom shop ROARS GARAGE opens in Sendai. 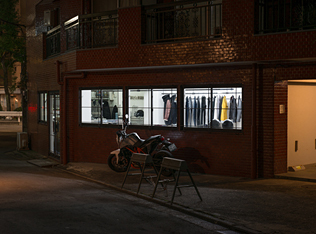 ROARS moves to Aoyama in Tokyo and reopens as ROARS ORIGINAL AOYAMA. ROARS GARAGE in Sendai is closed. ROARS ORIGINAL AOYAMA moves to Nishi-Azabu and reopens as ROARS ORIGINAL TOKYO. Start of the ongoing cafe style event series “Motor!!Motor! !” with work shops, movie screenings, exhibitions etc. Born on the 18th of June in 1977, Seiji Takahashi graduated as a motorcycle mechanic from the Sapporo Polytechnic Institute. He started his career as mechanic for a local bike shop with a class 2 motorcycle mechanic license. 2003 saw the founding of his fashion label ROARS in Sendai. Takahashi also possesses a diploma in fashion design, sewing and patterning from the Bunka Fashion College in Tokyo. Opening hours from 12-9pm, closed on Wednesdays. Limited parking space for bikes and cars available. ROARS ORIGINAL, all rights reserved.